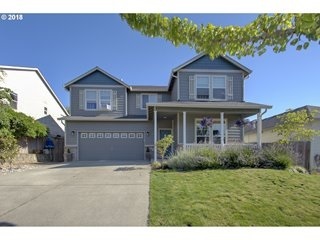 Charming 2 story home with tons of curb appeal. Light and bright interior with vaulted ceilings and open floor plan. Stainless steel appliances in kitchen and added bonus butler's pantry for extra storage space. Brand new carpet throughout. Master bedroom has attached bath, soaking tub and walk-in closet. Large laundry room. Sliding glass door leads outside to your private backyard.